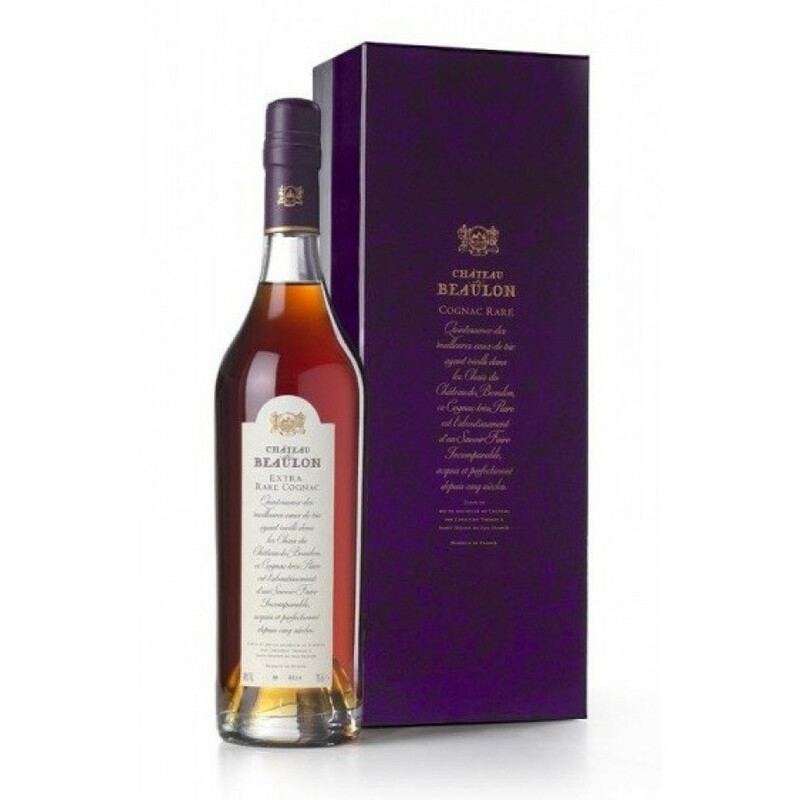 Chateau de Beaulon Extra Rare Cognac comes from the Paradise Cellar of Chateau de Beaulon. The producer states "For connoisseurs. A masterpiece of time," and they may well have summed up this Fins Bois cognac in a delightful manner in such a few words. On the eye you enjoy a deep copper shade with shimmering highlights. On the nose there are complex aromas, exotic wood, chocolate, Mocha, dried fruit. On the palate the joy continues, with a lovely fruity balance, spicy, woody - extremely refined and elegant.